Guided by the maxim, “If you can dream it, you can build it,” Limor “Ladyada” Fried, a young, ambitious hacker and engineer, entered the budding DIY tech revolution with a fresh tempest of ideas which have transformed the maker industry. 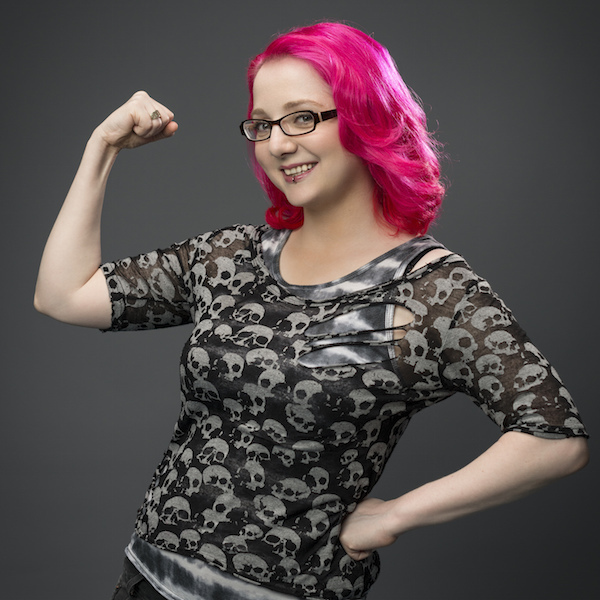 She first began making her mark in 2005 when she founded her groundbreaking company, Adafruit (100 percent women-owned) shortly after getting her Master’s degree in electrical engineering from MIT’s Media Lab. Through disruptive approaches in DIY innovation and marketing, she built Adafruit into a leading open-source electronics company, which remains one of the best places online for learning electronics and making the best designed products for makers of all ages and skill levels. Adafruit is currently ranked #11 in the top 20 USA manufacturing companies. In the process, Limor – whose nickname “Ladyada” was inspired by Ada Lovelace, the early mathematician often recognized as the world’s first computer programmer – has motivated countless girls, young women and others toward DIY frontiers, and in science, technology, engineering and mathematics. Limor’s accolades are numerous and include: becoming the first female engineer on the cover of WIRED magazine; being awarded Entrepreneur magazine’s Entrepreneur of the Year honor; being on the cover of Make magazine, and named a Whitehouse Champion of Change in 2016.